The online Master of Statistics degree is the same degree that on-campus students receive, with exactly the same requirements. Thirty credit hours (10 courses) are required; all requirements are available online. Many online courses will run concurrently with on-campus courses, and lectures will be viewed as high quality recordings with features to stop or speed up the presentations and accompanied by relevant exercises. Some online courses are specially designed to take advantage of web learning and will not be concurrent with an on-campus course . In either case, online tools will be used to facilitate interaction between instructors and students and to develop a vibrant community of online learners. The minimal requirements for entry are an undergraduate degree and coursework in calculus through multivariate calculus (comparable to MA 242) and linear algebra. In the application process, your credentials (transcripts and personal statement) will be evaluated for determining acceptance into the Master of Statistics online degree program. Note that GRE scores are not required, but should be uploaded if they are available. This master's degree requires 30 credits. At 2018-19 tuition rates, the cost of the required graduate statistics (ST) courses is $453 per credit for North Carolina residents and $1,261 per credit for non-residents. Thus, the total estimated cost for the program is $13,590 for North Carolina residents and $37,830 for non-residents. See Online and Distance Education Tuition and Fees for cost details. Statistics is being used in many fields these days. The words you hear like “big data,” “data mining,” and “business analytics” are really all about statistics. See our Careers webpage for a list of more than 20 career fields that welcome expertise in statistics. The Master of Statistics degree requires a minimum of 30 semester hours. First of a two-semester sequence in probability and statistics taught at a calculus-based level. Probability: discrete and continuous distributions, expected values, transformations of random variables, sampling distributions. Credit not given for both ST 521 and ST 501. Second of a two-semester sequence in probability and statistics taught at a calculus-based level. Statistical inference: methods of construction and evaluation of estimators, hypothesis tests, and interval estimators, including maximum likelihood. Credit not given for both ST 522 and ST 502. Estimation and testing in full and non-full rank linear models. Normal theory distributional properties. Least squares principle and the Gauss-Markov theorem. Estimability, analysis of variance and co variance in a unified manner. Practical model-building in linear regression including residual analysis, regression diagnostics, and variable selection. 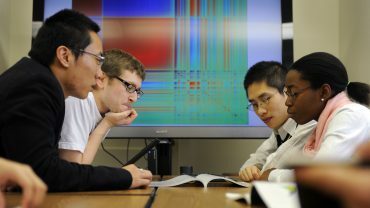 Emphasis on use of the computer to apply methods with data sets. Credit not given for both ST 552 and ST 503. 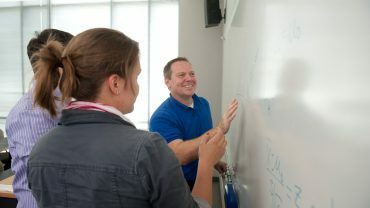 Course covers basic methods for summarizing and describing data, accounting for variability in data, and techniques for inference. Topics include basic exploratory data analysis, probability distributions, confidence intervals, hypothesis testing, and regression analysis. This is a calculus-based course. Statistical software is used; however, there is no lab associated with the course. Credit not given for this course and ST 511 or ST 513 or ST 515. This course does NOT count as an elective towards a degree or a minor in Statistics. ST 518 - Statistical Methods II - 3 credits. Offered as ST 590 in Fall 2019. This course will provide a discussion-based introduction to statistical practice geared towards students in the final semester of their Master of Statistics degree. An introduction to programming and data management using SAS, the industry standard for statistical practice. Detailed discussion of the program data vector and data handling techniques that are required to apply statistical methods. Topics are based on the current content of the Base SAS Certification Exam and typically include: importing, validating, and exporting of data files; manipulating, subsetting, and grouping data; merging and appending data sets; basic detail and summary reporting; and code debugging. Additional topics with practical applications are also introduced, such as graphics and advanced reporting. Statistical methods for analyzing data are not covered in this course. Regular access to a computer for homework and class exercises is required. Previous exposure to SAS is not expected. This course is designed to bridge theory and practice on how students develop understandings of key concepts in data analysis, statistics, and probability. Discussion of students' understandings, teaching strategies and the use of manipulatives and technology tools. Topics include distribution, measures of center and spread, sampling, sampling distribution, randomness, and law of large numbers. Must complete a first level graduate statistics course [ ST 507, ST 511, or equivalent] before enrolling. Statistical methods for design and analysis of clinical trials and epidemiological studies. Phase I, II, and III clinical trials. Principle of Intention-to-Treat, effects of non-compliance, drop-outs. Interim monitoring of clinical trials and data safety monitoring boards. Introduction to meta-analysis. There is also discussion of Epidemiological methods time permitting. Statistical models and methods for the analysis of time series data using both time domain and frequency domain approaches. A brief review of necessary statistical concepts and R will be given at the beginning. Analyses of real data sets using the statistical software packages will be emphasized. Introduction to Bayesian concepts of statistical inference; Bayesian learning; Markov chain Monte Carlo methods using existing software [SAS and OpenBUGS]; linear and hierarchical models; model selection and diagnostics. Statistical procedures for importing/managing complex data structures using SQL, automated analysis using macro programming, basic simulation methods and text parsing/analysis procedures. Students learn SAS, the industry standard for statistical practice. Regular access to a computer for homework and class exercises is required. This course will provide statistics educators with an in-depth introduction to applying technology for teaching college statistics. In this course, students will explore a variety of available statistical packages, demonstration applets, and other technologies for teaching statistics. Students will learn pedagogy t help them structure learning activities around these technologies. Students will also learn to identify key elements in technologies that support pedagogical goals. ST 558 - Introduction to Data Science - 3 credits. Offered as ST 590 in Fall 2019. This course will introduce common statistical learning methods for supervised and unsupervised predictive learning in both the regression and classification settings. Topics covered will include linear and polynomial regression, logistic regression and discriminant analysis, cross-validation and the bootstrap, model selection and regularization methods, splines and generalized additive models, principal components, hierarchical clustering, nearest neighbor, kernel, and tree-based methods, ensemble methods, boosting, and support-vector machines.